At Poplar Union, we’re committed to being as accessible as possible. Our venue is fully wheelchair accessible from both entrances – the office entrance on Cotall Street and the e5 Roasthouse entrance. We have two accessible toilets and an accessible shower, all fitted with emergency pull cords. Our venue is fitted with an in-built induction loop for hearing aid users that can be used in conjunction with the T setting. Guide, hearing and other service dogs are welcome in all parts of the building. If you’re booking to attend a performance, please let us know when you book that you require an aisle seat. Limited disabled parking is available on site; please let us know when you book that you require a parking space. 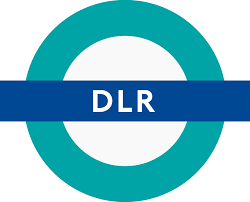 Lifts are available at all our local DLR stations – Langdon Park, Westferry, Poplar and All Saints – and we’re also easy to reach by bus. For further information, please see our page on Planning Your Visit. We’ll always provide one free ticket for the companion of patrons with access requirements. On your first booking, please call us on 020 3039 3330 or email boxoffice@poplarunion.com and we’ll ensure that every future order you make with us automatically includes a complimentary companion ticket. We’re always looking to improve! If you have any specific requirements that are not listed or have questions or suggestions, please get in touch and we will try and accommodate as best we can. Poplar Union comes fully equipped with air conditioning, showers, paid lockers, individual toilet facilities, baby change facilities, water dispenser, bike racks and free WiFi.